Although you’ll probably never hear your doctor recommend that you drink more coffee to stay healthy, there does appear to be convincing evidence pointing to major health benefits of coffee. More and more scientific studies support the idea that a moderate amount of coffee consumption can potentially reduce your chances of developing type 2 diabetes, Parkinson’s disease, and Alzheimer’s disease. There are also credible studies which link coffee drinking to a decreased risk of liver cancer, strokes, and heart rhythm problems. The list of coffee benefits doesn’t stop there, though. According to the National Institutes of Health and the AARP, coffee also appears to curb depression in some people. Other authoritative sources say coffee may help lower your risk of colon cancer, cardiovascular disease, and skin cancer. Sound too good to be true? It isn’t if you take this information in context and keep it in perspective. Drinking coffee is not going to prevent or cure any diseases, but it could be one of many factors that contributes to your ability to ward off disease and extend your lifespan. While the health benefits of coffee are big news for both coffee drinkers and the coffee industry, the vast majority of people will probably continue to drink coffee for two primary reasons: they love the taste of good coffee and they like the way it helps them wake up in the morning. Whether you’re on your way to a job interview, a tax audit, or a first date (sometimes it’s hard to tell the difference), a couple cups of coffee can help you sound smarter, be more responsive, and come across as being more sure of yourself. 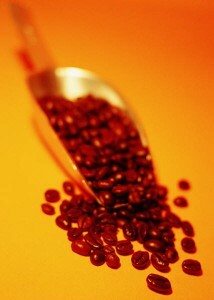 Coffee is also known to help enhance performance and endurance in athletics, exercising, and running. Side note: It would be interesting to conduct a survey among college students about the role that coffee plays in helping them study for exams, stay awake during all-nighters, and be alert and responsive in class the next day. For many young adults, a cup of coffee is as much of a college survival tool as it is a social beverage. Another example of coffee benefits was detailed in a recent article in the New York Times, entitled “Caffeine May Improve Driver Safety. The title speaks for itself, but it does point out one of the potential benefits of coffee: accident prevention. Caffeine is not for everyone–some people have a sensitivity to it–but for the majority of people who enjoy the great taste, energy boost, and social aspects of coffee drinking, the benefits of coffee are undeniable. If you’d like to enjoy the convenience of having fresh roasted coffee beans delivered to your home or office whenever you start running low, shop at the Daily Grind’s online coffee store. Thanks for checking out the Daily Grind’s new coffee blog! Experience the ease of home coffee delivery and the incomparable taste of our freshly roasted coffee beans. Whether you order Ethiopian Yirgacheffe, Sumatra Mandheling, or Guatemalan coffee, your satisfaction with our coffee beans is 100% guaranteed! You also get the added benefit of free shipping on all orders over $50. Some of the best coffee beans online are available at The Daily Grind!